Hidden Heroes brings vital attention to the untold stories of military caregivers and seeks solutions for the tremendous challenges and long-term needs they face. “When my husband Bob Dole was admitted to Walter Reed Army Medical Center for an extended period of time in 2011, my eyes were opened to the tremendous challenges facing the loved ones caring for our wounded, ill and injured warriors. Following Bob’s hospitalization, I established the Elizabeth Dole Foundation to help raise awareness and seek solutions for our military caregivers. We commissioned the RAND Corporation to conduct the first national comprehensive evidence-based study of military and veteran caregivers. The research revealed a societal crisis requiring a holistic national response. There are more than 5.5 million military and veteran caregivers in the United States. Countless spouses, parents and other loved ones transform their lives and set aside their own careers to care for those who cared for us. In most cases the caregivers begin this journey in total isolation, without any support. Hidden Heroes Campaign Chair, Tom Hanks, uses his voice to bring attention to our nation’s military caregiving crisis. With his dedication to the campaign, we are breaking down barriers and providing military caregivers with the help they so desperately need. Follow Tom Hanks on Twitter. Jennifer N. Pritzker is President and CEO of Tawani Enterprises, Inc., a private wealth management and venture capital organization. She is also the President and Founder of the Tawani Foundation and Founder and Chairwoman of the Pritzker Military Museum & Library. She enlisted in the U.S. Army in 1974, serving until 1977 with the 82nd Airborne Division. She was commissioned by the U.S. Army in 1979 and served on active duty from 1979 to 1985 with the 101st Airborne Division and VII Corps Germany. From 1985 to 2001, she served in the U.S. Army Reserves and Illinois Army National Guard. She retired with rank of Lieutenant Colonel and subsequently received an honorary promotion to full Colonel in the Illinois Army National Guard. She is dedicated to preserving military history, and as Vice-Chair of Hidden Heroes, supporting those who care for our nation’s servicemembers and veterans. Connect with Jennifer Pritzker on Twitter. Steve Schwab is a national leader and voice for the nation’s 5.5 million military and veteran caregivers and their families. He has closely advised senior leaders in every sector, addressed audiences across the country, and testified before Congress about the challenges faced by America’s military caregivers and how our nation can do more to support these incredible Hidden Heroes. As CEO of the Elizabeth Dole Foundation, Steve spearheads the country’s preeminent organization empowering, supporting, and honoring military and veteran caregivers. Previously, as Executive Director, Steve led the Foundation’s staff, programs, development, and partnerships, managing the launch of the Hidden Heroes campaign, establishing the Hidden Heroes Cities program, and successfully championing the expansion of the Department of Veterans Affairs’ (VA) Program of Comprehensive Assistance for Family Caregivers to caregivers of every war era. In 2018, Steve led the Foundation’s inaugural signature fundraising event, Heroes and History Makers: An Evening with Elizabeth and Bob Dole. Steve also chairs the Board of Directors of PsychArmor, the nation’s premier non-profit for providing free education and support for all Americans to engage effectively with the military community. Previously, Steve was head of external affairs for the National Cathedral, overseeing fundraising, marketing, and communications. 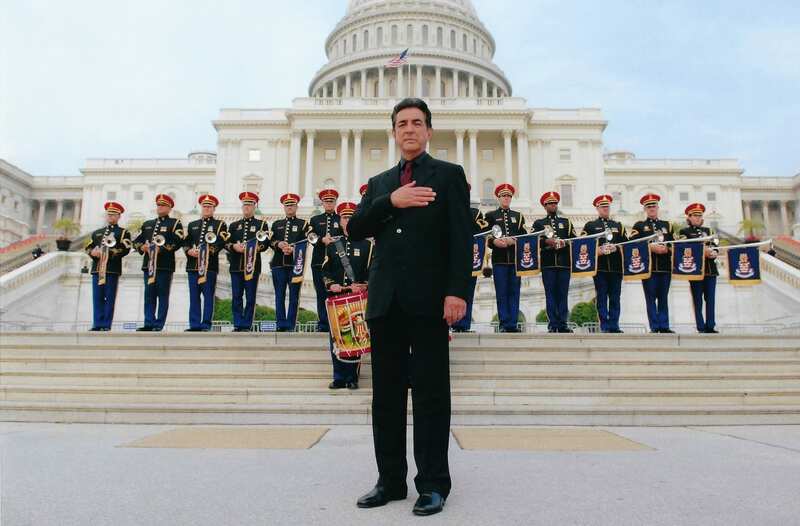 Steve came to the Washington, DC area after serving in three senior leadership roles in his hometown of Rochester, NY. He was Vice President for Development at the Rochester Philharmonic Orchestra after serving as Deputy Chief of Staff to Rochester, NY Mayor Robert J. Duffy and just prior as head of corporate development and relations for Rochester Institute of Technology. Steve started his career in New York City where he first worked in politics and then served subsequently as Special Assistant to the President and Director of Development for the New York City Partnership and Chamber of Commerce. Follow Steve Schwab on Twitter. Guthrie was a primary anchor for the network’s primetime 2018 midterm election coverage and the 2016 presidential election coverage, including NBC’s special reporting on the Republican National Convention and the Democratic National Convention, offering thoughtful insight and analysis. During both the 2018 and 2016 elections, more viewers turned to NBC News and MSNBC for politics coverage than any other television network. Guthrie has also anchored major breaking news events including the Pittsburgh synagogue shooting, Brussels attacks, the 2015 Paris attacks, the Boston Marathon bombing, the Charlie Hebdo shooting in Paris, and the 2013 Moore tornado. She has also anchored from the 2014 Winter Olympics in Sochi and the 2012 Summer Olympics in London. As part of her work on TODAY, she received a 2012 Daytime Emmy for Outstanding Morning Show. Guthrie is a New York Times bestselling author for her books “Princesses Wear Pants” and the sequel “Princesses Save the World.” Guthrie is married to communications consultant Mike Feldman and the couple has a daughter, Vale, and a son Charley. 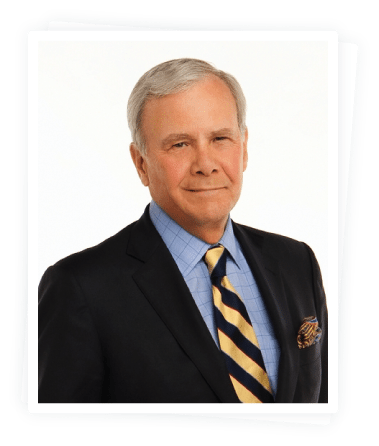 In 1998 Brokaw published his first book, THE GREATEST GENERATION, one of the most popular nonfiction books of the 20th century. Follow Tom Brokaw on Twitter. 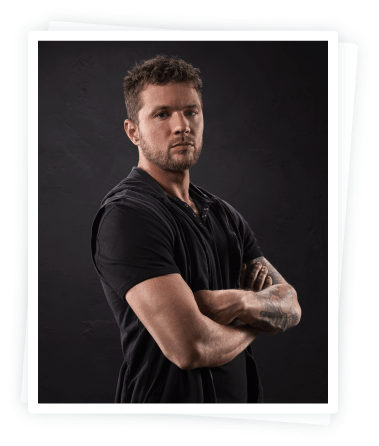 Ryan Phillippe stars in USA Network’s conspiracy thriller SHOOTER as Bob Lee Swagger, an expert marksman living in exile who is coaxed back into action by his former commanding officer Isaac Johnson (Omar Epps, “House”). A multiple award-winning actor, Phillippe most recently appeared on television in “Secrets and Lies” where he starred opposite Juliette Lewis. Previously, he was seen on “Damages” playing Channing McClaren in the acclaimed drama’s final season. In his directorial debut, Phillippe also co-wrote, produced and starred in “Catch Hell.” Recent film credits include his role opposite Matthew McConaughey and Marisa Tomei in “The Lincoln Lawyer,” Steven Silver’s “The Bang Bang Club,” Clint Eastwood’s “Flags of Our Fathers” and “Breach” starring opposite Chris Cooper. Since the film “White Squall” with director Ridley Scott, Phillippe has worked with top-level caliber talent, including Robert Altman’s Oscar-nominated film “Godsford Park,” “Igby Goes Down,” “Antitrust” co-starring Tim Robbins, “Company Man” with Sigourney Weaver, “The Way of the Gun,” “The I Inside,” and the Academy Award-winning film “Crash” directed by Paul Haggis. Phillippe can also be seen in, Paramount’s war-drama, “Stop-Loss,” alongside Joseph Gordon-Levitt and Channing Tatum, “MacGruber” with Will Forte and Kristen Wiig and box office smash hits; “I Know What You Did Last Summer,” “Cruel Intentions” and “54” with Mike Myers. Follow Ryan Phillippe on Twitter. Omar Epps stars in USA Network’s new conspiracy thriller SHOOTER as Isaac Johnson, a former Marine and commanding officer of Bob Lee Swagger (Ryan Phillippe) who coaxes Swagger back into action for a dangerous and clandestine operation. To prepare for his role, Epps underwent extensive training with an expert military sniper and gained a unique perspective into the lives of veterans. Epps is proud to be a Hidden Heroes Ambassador and has pledged to help Hidden Heroes reach more military caregivers to honor their service. Follow Omar Epps on Twitter. 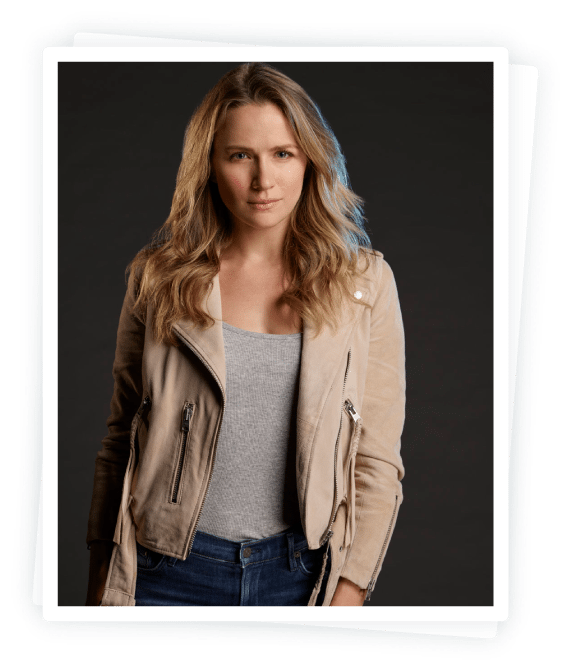 Shantel VanSanten stars in USA Network’s conspiracy thriller SHOOTER as Julie Swagger, the wife of former marine sniper, Bob Lee Swagger (Ryan Philippe). Julie’s character represents the typical profile of military caregivers today—strong, resilient, and nurturing. VanSanten grew up in a military family and is proud to be a Hidden Heroes Ambassador. VanSanten has pledged to help Hidden Heroes reach more military caregivers to honor their service and offer support. Born in Minnesota and raised in Houston, VanSanten began her acting career in the film “You and I” directed by Roland Joffe. Shortly thereafter, she landed her first TV Spot on “CSI: NY” and a series regular role on “One Tree Hill.” VanSanten also starred in “Gang Related,” “The Messengers” and can now be seen recurring on “The Flash. Other television credits include “The Night Shift,” “The Glades,” “Beauty and the Beast” and “A Golden Christmas 3.” VanSanten can also be seen in films such as “Something Wicked,” “In My Pocket,” “Remembrance,” “You and I,” “The Final Destination” and “The Open Door.” As a model, she has been featured in the magazines Teen Vogue and Seventeen. Follow Shantel VanSanten on Twitter. Richard Lui is a veteran journalist and news anchor currently at MSNBC and formerly CNN Worldwide. In 2007 Lui became the first Asian American male to anchor a daily, national news broadcast in the U.S. Most recently, Lui reported on the ground on the Paris and San Bernardino Terror Attacks and in Ferguson and Baltimore during heightened unrest. For 15 years Lui’s reporting has focused on politics, covering every U.S. national election since 2004. He has interviewed hundreds of politicians, from Detroit Mayor to U.S. President. He has been a contributing columnist for USA Today, Politico, Seattle Times, Detroit Free Press, Huffington Post, and others. Lui is Caregiving Champion for the Alzheimer’s Association and AARP, and a Hidden Heroes Ambassador. He currently travels between the East and West Coasts to care for his father who has Alzheimer’s. Lui is also a technologist with a wide-reaching business career, launching six technology brands over three technology cycles, most recently a Silicon Valley artificial intelligence company in 2016. While at Citibank Singapore, he co-founded and patented a Visa-like payments backbone and was a management consultant at Mercer for an IBM joint venture. Lui sits on four boards of directors / advisers in spaces ranging from international relations to artificial intelligence, as well as for Annie Cannons, a not-for-profit that teaches coding skills to survivors of human trafficking and violence against women. Lui is also a 2016 Governance Fellow for the National Association of Corporate Directors. In addition to being a team Emmy and team Peabody recipient, he is ranked globally in the top 1% of social media users by Twitter Counter and was named one of 21 dynamic careers to watch alongside Warren Buffet and Sheryl Sandberg by Business Insider. Follow Richard Lui on Twitter. Joel Scott Osteen is a best-selling author and the Senior Pastor of Lakewood Church in Houston, Texas. Osteen is one of the most watched inspirational figures in America. His sermons are televised in over 100 nations around the world, bringing in more than 20 million viewers monthly. Osteen’s weekly sermons are also streamed live over the internet and broadcast 24/7 on Sirius XM Satellite Radio, Channel 128. In total, Osteen has written 7 New York Times Best Sellers. In 2004, his first book, Your Best Life Now, remained at the top of The New York Times Best Seller list for more than 200 weeks. Osteen was born in Houston, Texas to renowned parents in full-time ministry. His father, a former Southern Baptist pastor, founded Lakewood Church. While his father encouraged him to preach for many years, Osteen preferred to work behind the scenes in television, producing his father’s televised sermons for 17 years. It wasn’t until his father suddenly fell ill that Osteen gave his first sermon, which would be the last his father heard. His father passed away shortly thereafter, but his legacy continued through Osteen. Since installed as the new Senior Pastor in 1993, Osteen’s weekly service attendance grew from 5,000 to 43,000. Lakewood is now one of the largest non-denominational churches in America. Joe was awarded the Tony and Joseph Jefferson Award for his acclaimed performance as Richard Roma in David Mamet’s Pulitzer Prize-winning play Glengarry Glen Ross. Some of Joe’s film and television highlights are; House of Games, Searching for Bobby Fisher, Godfather III, his Emmy and Golden Globe nominated role of Dean Martin in The Ratpack, his Emmy nominated role of Pipi Delana in “The Last Don,” and the voice of Fat Tony on The Simpsons. For two seasons Joe stared with Mary Steenburgen and Amber Tamblyn in the critically acclaimed CBS drama Joan of Arcadia, winner of the 2004 People Choice Award for best new drama as well as picking up three Emmy nominations. In 2008 Joe reprised his Emmy nominated role of Lou Manahan opposite Debra Messing in USA Network series The Starter Wife. Joe has also lent his voice to the Disney/Pixar film, CARS2 and continues his 23-year run as Fat Tony on The Simpsons. In April of 2011 Joe received a Star on the Hollywood Walk of Fame. In 2014 Joe received the Lifetime Achievement award from the Hollywood Chamber of Commerce for his dedication to the community and craft of acting. Currently Joe stars as FBI Special Agent David Rossi in season fourteen of the Hit CBS Drama Criminal Minds as well as hosting and producing duties for eight seasons on “Gun Stories” for the Outdoor Channel. Follow Joe Mantegna on Twitter. The National Registry of Military Caregivers helps us identify caregivers across the country who serve our wounded veterans and servicemembers. We know there are 5.5 million military caregivers nationwide and yet many have not identified themselves as such. By connecting with caregivers through the Hidden Heroes community, the Foundation and its supporters are able to better direct services to caregivers in need. Senator Elizabeth Dole witnessed the challenges facing the loved ones who care for our wounded warriors when her husband, Bob Dole, underwent treatment at Walter Reed Medical Center. Following his release in 2012, she founded the Elizabeth Dole Foundation to uplift American military caregivers and their families by raising public awareness, driving research, championing policy, and leading collaborations that make a significant impact on their lives.